Overwatch principal designer Geoff Goodman outlined the changes on the forum. A few accidental balance adjustments went live with Overwatch’s Year of the Dog patch, all of which were missing from the game’s patch notes. But Overwatch principal designer Geoff Goodman stepped in to the game’s forum to clear things up—those massive Sombra adjustments weren’t supposed to go live yet. They’ve since been removed and will show up “soon” on Overwatch’s PTR. 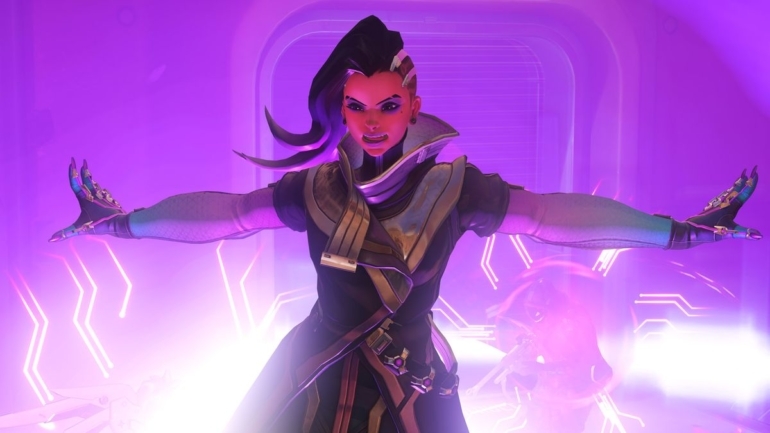 Fans were rightfully shocked when they saw the Sombra adjustments, as they seriously tweaked her numbers. Healing from health packs will no longer charge Sombra’s ultimate, which by itself would be a huge nerf. Weapon spread for Sombra will be decreased by 10 percent, and hacking speed will see an increase from .8 seconds to .65 seconds. Hacking will also disable more hero abilities, like Genji’s Double Jump and Wall Climb, Pharah’s Hover Jets, Hanzo’s Wall Climb, and Mercy’s Angelic Descent. Basically, any ability that requires a button press will be vulnerable to hack. “The idea here is to take some power out of her ult (and awkwardness of ult gain through health packs), and give her more power and usefulness in the rest of her kit,” Goodman said.